BBC ALBA, the Scottish Gaelic language counterpart of the BBC, recently covered the hunting referendum on its programme Eòrpa, a current affairs programme covering topical political and social issues dominating headlines in European countries. Even though this programme is not available for view in Malta, it is available to all UK residents, and provides an extremely vivid picture of why the Maltese population should be voting NO. The programme, originally aired on the 4th of March 2015 (Series 22, episode 13), saw BBC ALBA presenter Alasdair Fraser visit the Maltese Islands and interview both pro and anti-spring hunting lobbies to provide viewers with an insight into what is described as “an island custom”. The full transcript of the section covering Malta can be found here –> BBC ALBA Hunting<–. For UK residents, the programme may be seen by clicking this link. 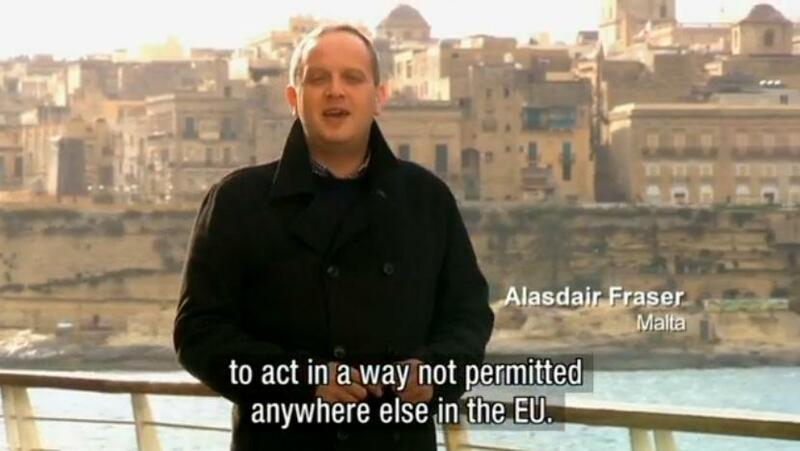 Alasdair Fraser travels to Malta to cover the Spring hunting referendum for the BBC ALBA programme Eòrpa. Needless to say this coverage is quite embarrassing for the hunters themselves, and even more so for the general Maltese population. People should remember that this programme has been broadcast in Scotland (BBC ALBA has an average weekly viewership of over 600,000 adults), and is still available on demand online on the BBC iPlayer (BBC ALBA has an average yearly online viewership of over 4 million adults). And before the Yes campaigners start screaming ‘F*** the English, go back to your country’ again, they should remember that the UK is our biggest tourism market, and the Scotland is not England. Below are some excerpts from this programme, which are quite damning and self-explanatory. These excerpts are accompanied by some personal observations in blue. 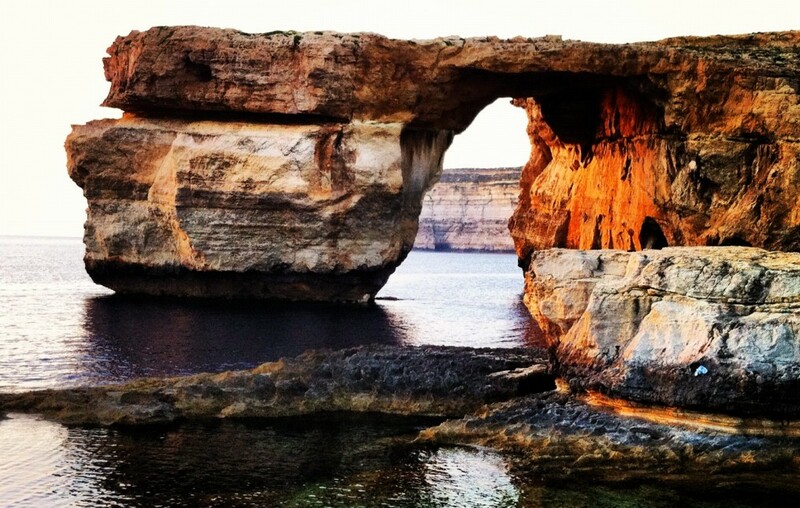 For Malta’s hunters, April means just one thing: the spring hunting season. For a few weeks guns can be heard all over the island, firing on migratory birds. But in a few weeks’ time, the people of Malta will hold a referendum to decide whether to end this tradition. Alasdair: In Gozo I met Danny Rosso, who has hunted most of his life. He is proud of being a hunter and of hunting’s history. He sees the referendum as an assault on his way of life – never mind the BirdLife volunteers and campaigners being regularly assaulted by hunters. Danny Rosso (Hunter): The referendum is not about shooting protected birds: no-one wants to do that. In fact the referendum is about protecting birds from being shot. 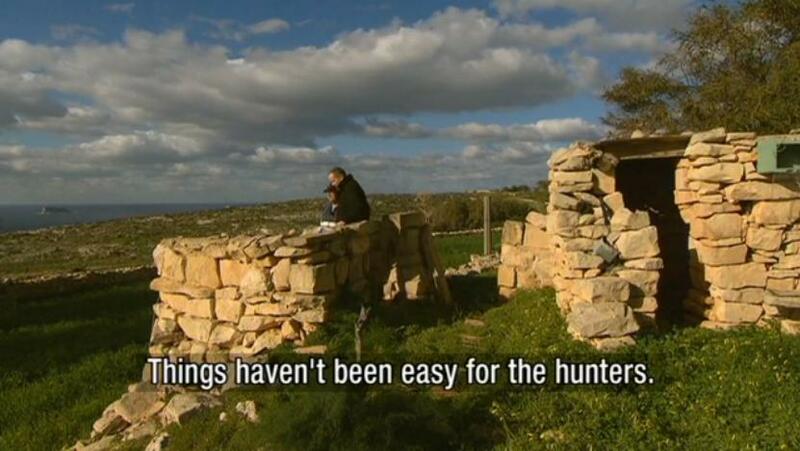 Alasdair: Danny feels hunters like him benefit the island and its environment – one of the fundamental flaws of Maltese hunters is that they feel a sense of entitlement over the environment. Just because hunters spend longer hours wandering the countryside than your average Maltese citizen, it doesn’t mean that one respects the environment more than the other. Danny Rosso: If the hunters are not out there, illegal activity will increase as poachers will find things easier. They don’t shoot at protected birds when we’re there. A thief normally comes out at night – This is one of those cringe-worthy comments. While it is true that not all hunters are poachers, this argument in farcical at best. Enter Romina Tolu from the SHout Campaign…incidentally, where is the SHout campaign? Mark Mifsud Bonnici (St Huberts Chairman). There are 10,000 hunters, but you get only two or three incidents in a season. Mark Mifsud Bonnici clearly did not pass his Mathematics O Level (GCSE) exams. CABS has reported 51 cases of directing poaching in 2014, with another 70 hunting-related incident such as illegal weapons and hunting in non-hunting areas. Incidentally, did the FKNK chicken out from this interview…or should I say they quailed out? Salvu Portelli (Hunter): As a shooting federation, we back the hunters’ federation on this issue, because, if an incident happens here as has happened abroad, and someone commits a heinous crime with a gun, would that mean that target shooting has to stop? I invite anyone capable of deciphering this sentence to submit their replies in the comment section below. We consider ourselves a minority, and we back the hunters’ federation not only in their hobby but for other minorities to continue enjoying their hobbies. Again with this BS. I have had enough of this illogical and downright stupid argument. Hunters are not a minority, and no referendum can ever impact other hobbies in Malta. This statement is a clear indication of what the FKNK has instructed Mr Portelli to say, because he clearly has no understanding of what he is saying himself. Unknown person cooking quail: Over the years hunting has caused harm…Today people hunt, not for food, but for sport and so there is no longer a need to hunt. When there is no other argument available, hunters would resort to the ‘but we need to eat’ strategy. Thank you unknown person cooking quail, thank you. This is the point where SHout should fire Moira Delia and have Joe Sultana at the forefront of their discussion. With all due respect to Moira, a reformed hunter is much more effective at driving home the message than an animal lover. Incidentally, has Moira gone into hiding? Things haven’t been easy for the general Maltese population as well. We need to endure these illegally constructed hunting shacks that litter our countryside. Alasdair: Things haven’t been easy for the hunters. Many of them feel they face more and more obstacles. Salvu Portelli (Hunter); Last year, we were checked by police four times. They looked at our hunting licence, how many shots we fired and if we caught any birds. I get stopped by police road blocks roughly four times a year. They check my driving licence, if I have had anything to drink and if I have any drugs in the car. So now hunters are feeling uneasy at the police doing their job? And down there, on these benches, CABS and BirdLife personnel will be watching us recording all shots fired. Jahasra. To be honest, you have to be really luck to shoot a turtle dove. Is has to be sent by God. This ‘Sent by God’ phrase is a Maltism (Irid jibatilek il-Mulej), but people should appreciate at how primitive it makes Maltese people sounds like to an international audience. Salvu Portelli: Maltese schools are forever telling children that hunting is bad. Hunting is not that bad, unless it happens in Malta, in Spring. Just a few days ago, there was a programme in Gharghur on how to train dogs. Two children who were interviewed said they were learning to train dogs so they would have hunting dogs when they grow up. That shows that there are children who want to hunt and keep up the tradition. I am pretty sure that Scottish viewers think that Maltese children are only interested in pursuing these types of traditions. Additionally, this statement makes me feel uncomfortable. No child in their right mind would want to grow up to be hunter unless his parents brainwash him/her into it. This is the similar mantra with which Maltese parents brainwash their children into becoming staunch Labour and Nationalist supporters. Quite sad indeed. The Yes campaign will never be able to provide a valid and sound argument to support their hobby. They feel they are entitled to it, that they can do it just because they have political leverage. You can stop this, so don’t forget to vote NO on Saturday 11th April.